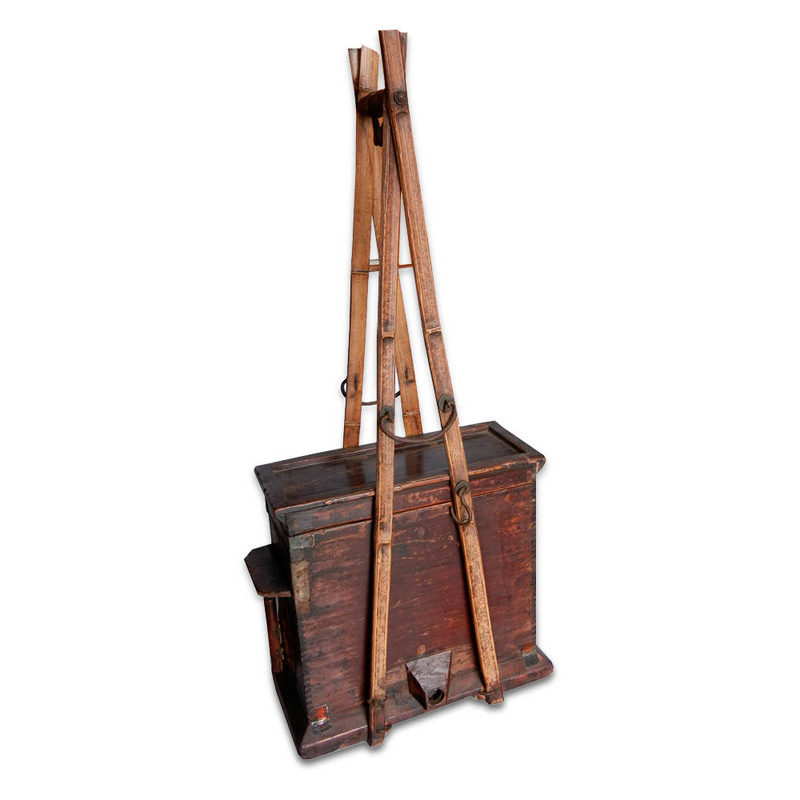 Antique street vendor's tool chest with bellow and carrying bamboo handles. Such tool chest was used for selling food while moving from neighborhood to neighborhood. 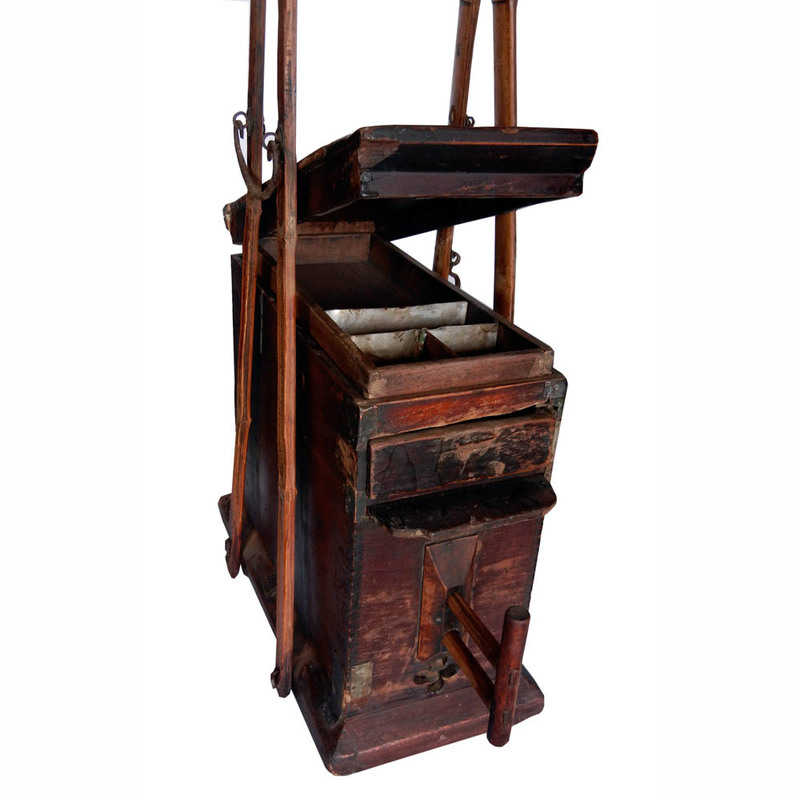 The compartments under the liftable door on top was for storing change such as coins. The tools such as a pair of stirrups, scissors, etc. would be stored in the drawer. A vendor would tie a small clay stove with coals in it and any other neccessary small equipments or dishes and bowls, etc. onto the top of the chest. The metal loop on the top is for hanging a small metal gong which the vendor used for alarming clients of his arrival. Upon hearing his gong, children, women, or older people will run out to buy the food from the vendor, usually something like pre-cooked tea eggs, fish cakes, fried crispy fermented tofu, baked sweet potato, etc. as each vendor had his own specialty. The stove and coals were used to keep the food warm while the bellow below was used for pumping more air to keep the coals burning. This rustic piece is in its unfinished original condition. Gong is not included. 19th century.